Mischievous and evil. From Gremlins 2: The New Batch, comes the mischievous and evil Mohawk! Mohawk stands over 6-inches tall and features incredible movie-accurate detail. Mohawk is fully articulated, including a hinged jaw, and includes with a machine gun accessory. 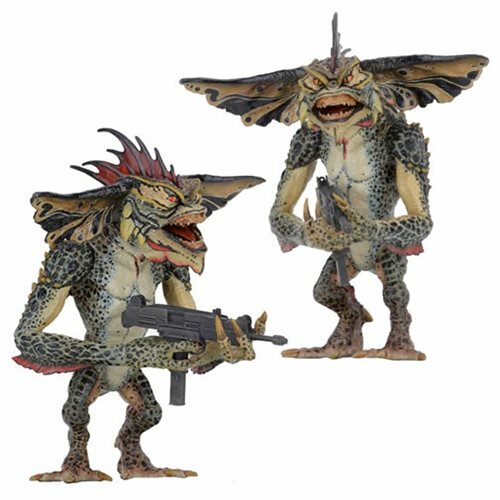 Mohawk comes in clamshell packaging and is the perfect addition to your Gremlins collection! Ages 14 and up.